Welcome to my website. This site is intended to share information about the profession of social work and my own progress as a social work practitioner, teacher, and researcher. I hope you enjoy my work. If you find that we have common interests or that I can help in some way, please let me know. Are you interested in how spirituality can shape the dying process? 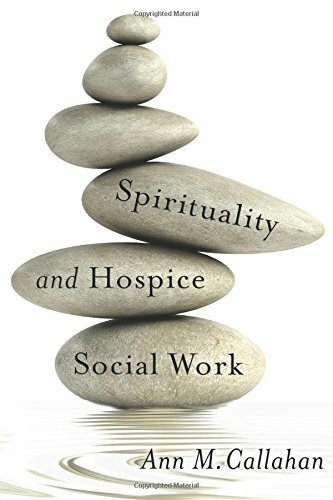 Please consider reading my book Spirituality and Hospice Social Work published by Columbia University Press. This book is the product of many years of clinical and research experience. The article Key Concepts in Spiritual Care for Hospice Social Workers: How an Interdisciplinary Perspective Can Inform Spiritual Competence provides a topical overview. The book further explains the evidence supporting spiritually sensitive hospice social work. Social Work Today published an article that presents my preliminary collaborative work on exploring opportunities for relational spirituality in long-term care. The article is called Meaningful Relationships in Long Term Care - Helping Residents Make Their House a Home. My most recent presentation was for the North American Association of Christians in Social Work in Harford, Connecticut. At the 68th Annual Convention, I presented a workshop on How Ethics Can Inform Spiritually Sensitive Social Work. My previous presentation was for the European Conference on Religion, Spirituality, and Health in Coventry, England. I presented a poster called Relational Spirituality: An Opportunity for Social Work in Long-Term Care. If you missed my presentation for the 2017 Social Work Hospice and Palliative Care Network General Assembly in Scottsdale, AZ, it was An Introduction to Spiritually Sensitive Hospice Social Work. The North American Association of Christians in Social Work also recorded a webinar I provided called Therapeutic Relationship as a Spiritual Resource. My Social Work Today Web Exclusive on relational spirituality addresses some of that content. Course evaluation is central to good teaching. The last article I wrote with Dr. Kalea Benner, at the University of Kentucky, evaluates an online spirituality course. We evaluate the conceptual processes associated with the building of spiritual sensitivity and the potential implications for social work practice. Disclaimer: This is my personal site and the contents do not represent the opinions of my employer.